What to do when your event doesn't sell well? 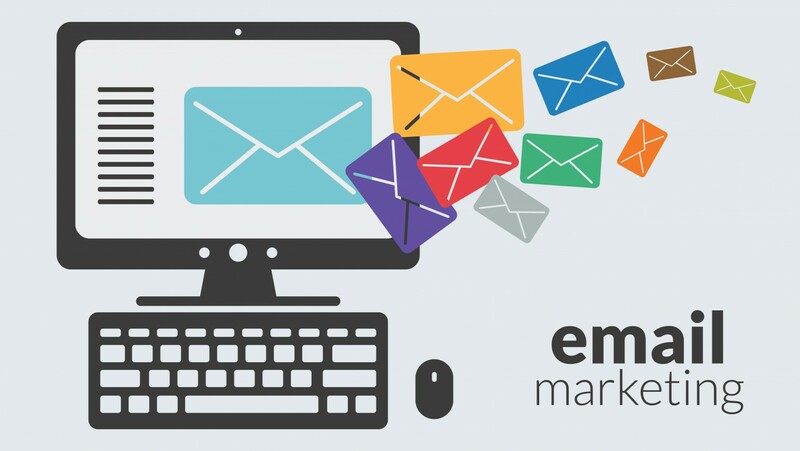 Email marketing is perhaps one of the most popular tools for promoting goods and services today due to the almost unlimited possibilities of its tools and usage. On the Internet, you can find an infinite number of guides and articles with tips on how to create, design and run a good email-list. 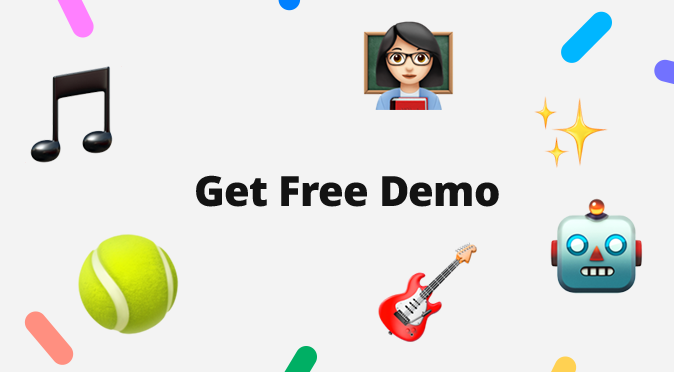 We won't follow in their footsteps, we'll just tell you where to start and how to use email marketing tools to complete the tasks of an event organizer. Of course, the most advanced emailing users are online stores that squeeze it out up to 200%, as most of network retailers' profit falls exactly on repeat sales, which are generated by email-marketing. As for the entertainment industry, here we are reduced only to a small toolkit, but it can help to achieve notable results. So, what do you need to do to start using emailings? The first and foremost step is gathering the base of your audience. To know how to do this, read the article in our blog, illustrating it with an example from theatrical field. If you have never done this, then you need to start building the database in two ways. 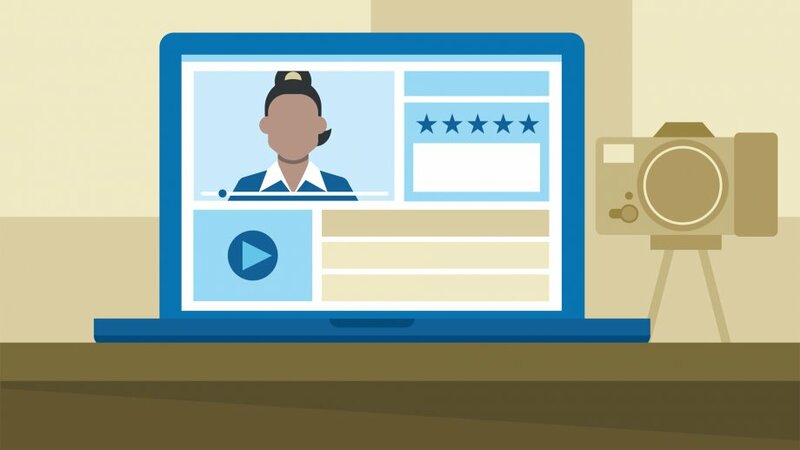 First, selling tickets online on your site, in your social networks and in the booking office (the system you use for selling must provide you with email addresses that a viewer leaves when buying). In addition, you need to install on your official site an email collector. 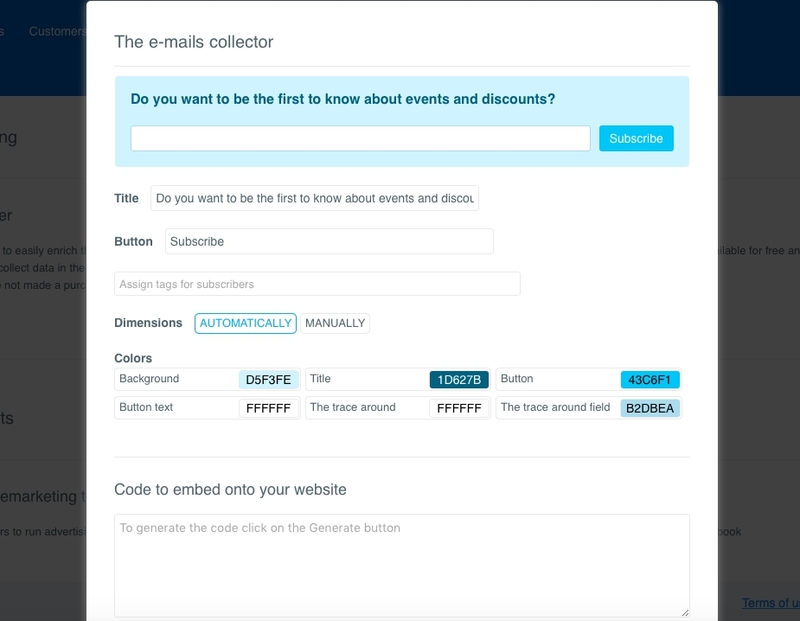 With the Radario marketing platform, it works as follows: you customize a form to collect addresses (choose the color, enter the title, set the sizes), get the code to paste into the site and add it to the right place, by yourself or with the help of your resource administrator. NB: The list of modern proven mail services is not so long, and each of them has almost similar functionality. It is important to understand that you cannot use all their tools (leave it to notorious online stores). Therefore, the most important thing to pay attention to is integration. A service is good if you can integrate it with your ticket platform. Now we need to understand which audience our mailing will be sent to. It depends on goals you set for yourself. For example, you need to increase sales for a particular event, but at the same time you want to "encourage" your regular viewers. In this case, you can filter the user base by the amount of purchases or by the average check and offer a discount or other special offers. Or you can select a segment of viewers according to their preferences (those who visit a particular event of a certain genre) and offer them a similar event. Actually, there are a lot of options. You can also involve demography, geography, information about sales channels, etc. NB: Right targeting is the key to success. A mailing targeted at a specific audience works better than sending emails to the entire database. Send people only those proposals that they are waiting for. Firstly, it will make them understand that you "feel" them, and secondly, it will reduce the risk that a user will delete your letter and unsubscribe. Modern postal services (including the Radario platform) offer you all the necessary elements and templates for creating a beautifully designed letter. So let's talk about the content. The first thing you should pay attention to is the subject of the letter. We're bore to death of this expression, but still, first impressions are half the battle. The head of the letter should be given maximum attention, because it determines whether a user will open your letter. Undoubtedly, if you send a message to your viewers who have already bought tickets for your events, you can be sure that they know about you, and, at least, your letter will not be a surprise to them. However, this does not negate the fact that you should clearly, briefly and most interestingly formulate your proposal in the subject line. It may be with a spectacular and, perhaps, provocative title. But you should not abuse your imagination, too much pretentiousness can only alienate your addressee from reading the letter. As for content, you do not need to get carried away. Remember that the size of your message directly affects the conversion. So it must be clear and relevant, otherwise it highly probable that the addressee will not finish reading the letter to the end. But, again, do not forget that you are communicating with ordinary people, not with officials or robots. Although, of course, the questions of stylistics is up to you, as well the manner of communication with your audience. Always remember that the main thing in your letter is a call to action. It must be noticeable and obvious. For example, you want to give viewers the opportunity to buy a discount ticket or offer to leave a review of the past event they visited. Accordingly, everything in your letter should work for the person to click the appropriate button, whether it is to go to the purchase or form to fill. NB: Remember the main thing: content is above all, so it should be high-quality. Do not be lazy to check their texts with the help of special services (for example, "Glavred" and many others ). Also pay attention to the readability of the letter: make accents (text or graphic), divide information into blocks, use buttons with a call to action, add illustrations. There is a lot of research on what time and day of the week it is better to do emailing. Of course, you do not need to take them as an unquestioning guide to action, but try different variants and follow the conversion. But the general laws for all are approximately the same. In addition, remember that you need to determine the frequency balance of mailings, quantity (letters) rarely goes into quality (sales). 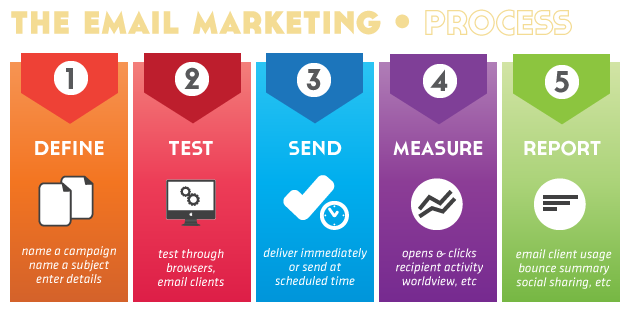 NB: At the beginning of the work, it will be good to create several variants of mailings and to check them with the help of A / B testing. This will allow you to find out not only the best time and day of the week for sending letters, but also what form of presenting information and style of communication are suitable for your audience. 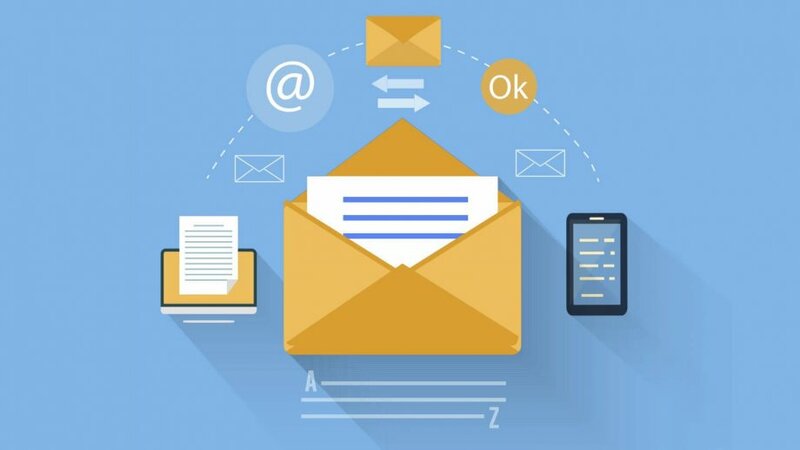 Summing up, you can once again say that, well-managed, email marketing tools can help you not only increase sales, but also build a full-fledged loyalty program. Moreover, even if you just start this work, you will soon be able to assess the effect of emailing and revisit the concept of this tool and adjust your strategy, since all statistics are transparent and accessible, and you do not need to have in-depth expert knowledge to analyze it. We recommend that you read our material about how to start using the Radario marketing platform, where you can learn in more detail about how to configure and start mailing.